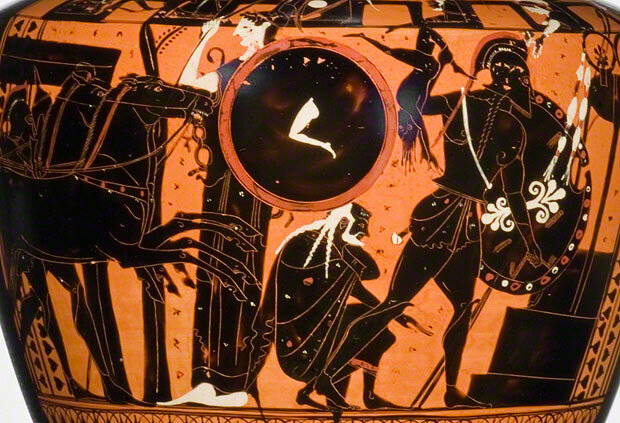 Both medieval illuminators and Greek vase-painters represented the Trojan war as a contemporary conflict. For when one sees a story illustrated, whether of Troy or something else, he sees the actions of the worthy men that lived in those times, just as though they were present. The past was always within reach for medieval artists, just as it had been for their ancient Greek counterparts. 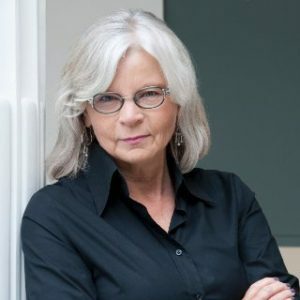 Stories of the epic Trojan War and its heroes provided a particular source of inspiration—and identification—for both. What explains this war’s lasting power? Troy had been sacked and burned some 3,000 years before legends of its destruction inspired medieval scribes and illuminators—as we see in one particularly fascinating section of the exhibition Imagining the Past in France, 1250–1500. Yet scenes and stories from the fabled conflict remained so vivid to medieval viewers that they often served as a historical point of reference. The Trojan War was likewise a constant point of reference for ancient Greek art, literature, and especially dramatic and poetic performance. The story was already over 1,000 years old even to the ancient Athenians, who were inspired by Homer’s epics—such as the Iliadand the Odyssey—first sung as oral poetry in the middle of the 8th century B.C. The Sack of Troy had been represented in Greek art from the time image-making began, and was a compelling scene for many Athenian vase-painters especially in the years around 500 B.C. The Trojan War was more than a source of dramatic events and battle scenes, however. Ancient Greeks sought to link their genealogies and the history of their cities with the epic battle that destroyed ancient Troy. Many Greek families counted ancestors among those who had fought in the legendary conflict, and some could link their forbears directly to Homeric heroes. The classical city of Athens referred to her own part in the epic battle by sculpting the Sack of Troy on some of the Parthenon metopes. Centuries later, the medieval French did the same: the story of a Trojan hero’s founding France validated the nation’s historical status through connection to the epic legend. Most of the ruling houses of medieval Europe, in fact, claimed descent from survivors of ancient Troy. The commissioning of the Crónica Troyana, a 1350 Spanish translation of the Roman de Troie, was­ a calculated propagandistic move on the part of Alfonso XI of Castil, whose intent was to link his domain to other European countries, like France, that had previously claimed the epic legend as part of their origin story. 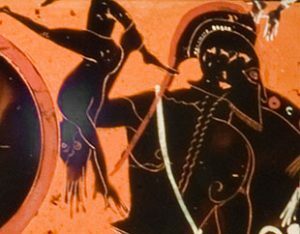 Because the Trojan War remained so potent as story and propaganda, both medieval illuminators and Greek vase-painters represented it as a contemporary conflict. In art, the past was depicted as the present. 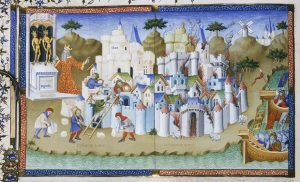 This spectacularly detailed illumination from Augustine’s City of God (Cité de Dieu) combines the building and the destruction of Troy in one view—complete with medieval dress and architecture. A temple stands at left, where golden statues of Neptune and Apollo appear to give their blessing to the king of Troy, Laomedon, who gestures toward workers constructing the city. At right, the defeated Troy burns as the victorious Greeks depart in their ships. 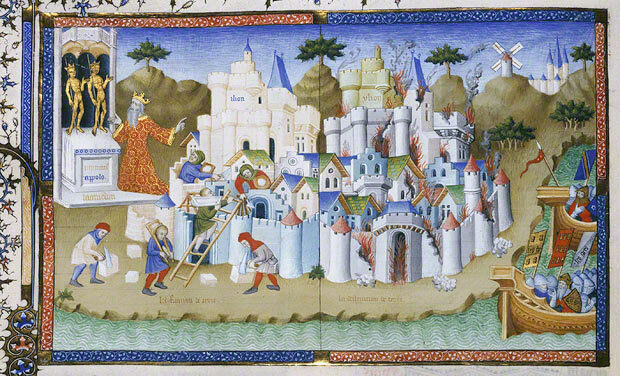 The Construction and Destruction of Troy, Orosius Master, Paris, 1405–6. In City of God (Cité de Dieu; original text in Latin); Saint Augustine, author; Raoul de Presles, translator. The Philip S. Collins Collection, gift of Mrs. Philip S. Collins in memory of her husband, 1945. Philadelphia Museum of Art, Philadelphia, Pennsylvania, Ms. 1945.65.1, fol. 66v. Below, a detail of the battlements. The cityscape is neatly divided in half: at left, the colors are crisp and bright; at right, the burning city is seen through a dull lens, with red flames erupting from doorways and shattered battlements. The Greek word for Troy, ilion, labels the healthy city; ylion, the destroyed city. In this image, as elsewhere in medieval art, the fall of pagan Troy is held up as a parable of Christian virtue. Greek artists, by contrast, often showed empathy for the people and city of Troy they had destroyed, as for example on this black-figured vase produced in Athens around 510 B.C. The sharply defined shoulder of this vessel, a hydria used to carry water, provides an architectural framework for the city’s battlements, where old men and women mourn while archers attempt to protect the doomed citadel. On the body of the vase, a four-horse chariot bursts into the melee, charging through a massive gate. At right, a faceless warrior in black armor hurls a boy by his ankle. The child is Astyanax, the son of Hektor and youngest grandson of King Priam, ruler of Troy. His death by being thrown over the battlements of the city is the final, brutal blow to the Trojan dynasty, ensuring they will never rebuild their city. The juxtaposition of this act to the tripod (symbol of a sanctuary) and the figure of Athena, the goddess who punished the irreverent Greeks (with Priam cowering beneath her), underscores the sacrilegious nature of the act. The profound tragedies of Sophocles and Euripides, written nearly a century later, recall heart-wrenching scenes such as this, which show the Greeks to be merciless murderers. Who would have seen, and reacted, to such depictions of Troy? Both the manuscript illumination and this vase were destined for semi-private consumption. The vase held water to be mixed with wine for drinking at the symposium, or men’s drinking party—philosophical, poetic, and overseen by Dionysos, whose wine lubricated the conversation—made famous by Plato in his Symposium. 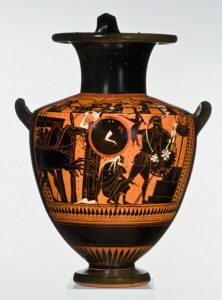 The hydria was one of many vases in use at this event: it joined drinking cups, mixing bowls, and wine storage containers, many of them also painted with scenes of heroic and military life. As the vase-painting circulated in a room full of images, the manuscript illumination would have been shared with a discreet group of distinguished admirers in controlled settings, at special times and places. Both the ancient Greeks and the medieval Europeans who contemplated and discussed these images understood that their revered ancestors had lived in an earlier and different kind of age. But for them, the Trojan past lived vividly in the present. This entry was posted in Art History, Classics, Greece, Greek, History, Medieval, Middle Ages. Bookmark the permalink.